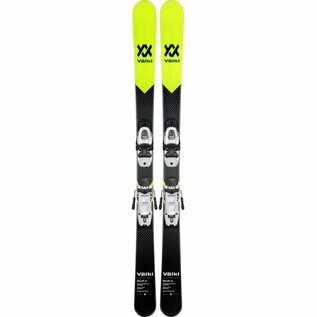 These Jr twin tip skis provide smooth handling, great forward and backward riding abilities and the looks to be taken seriously. There is no cooler way to start skiing than with the Mini Revolt Jr. The twin tip shape with Power Shell and Composite Core provides smooth handling, great forward and backward riding abilities and the looks to be taken seriously.